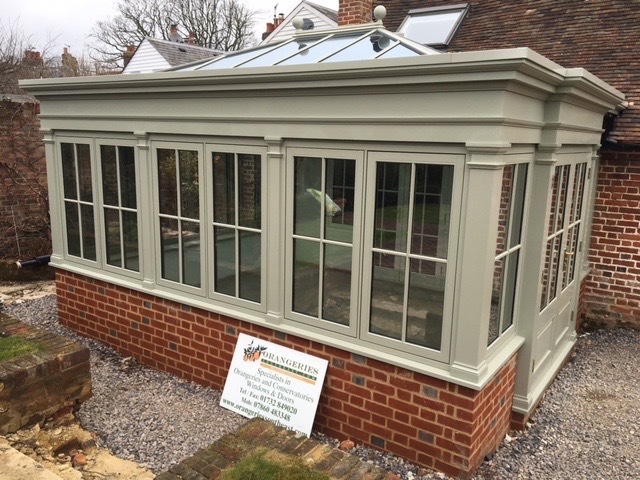 Dating back to the 17th century, orangeries were used for growing exotic plants and fruits for grand houses. 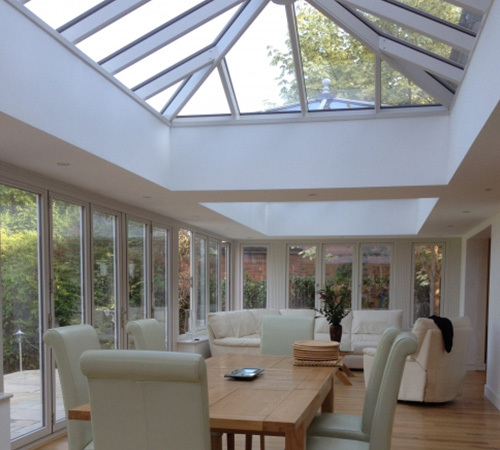 Today's orangeries are elegant rooms with light entering from a lantern roof and side elevations. 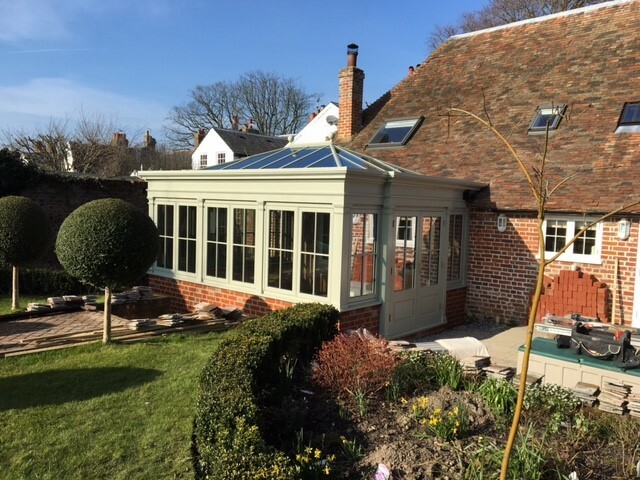 Designs for orangeries are often created using brick and stone, or built completely in hardwood. 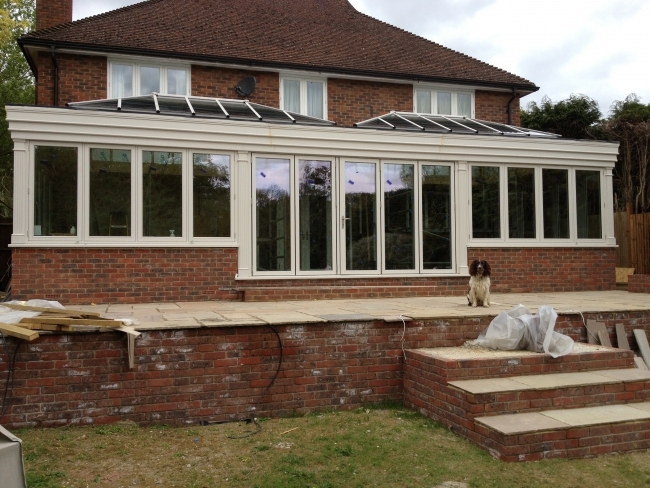 Whatever your choice of material Orangeries are very special rooms. 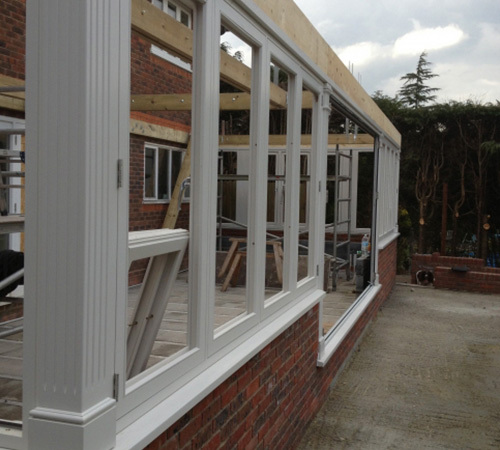 Each project is treated individually and we work with you on every decision. 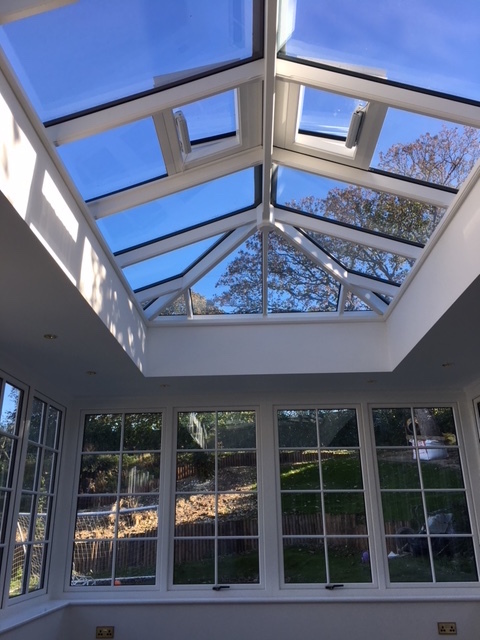 Orangeries can provide the perfect solution for properties that desire a light and airy setting with the practicality for easy access to other areas that would be inaccessible with a conventional conservatory roof, creating a seamless transition into your home. 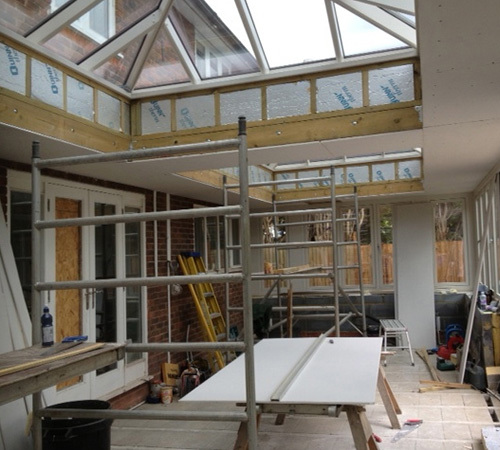 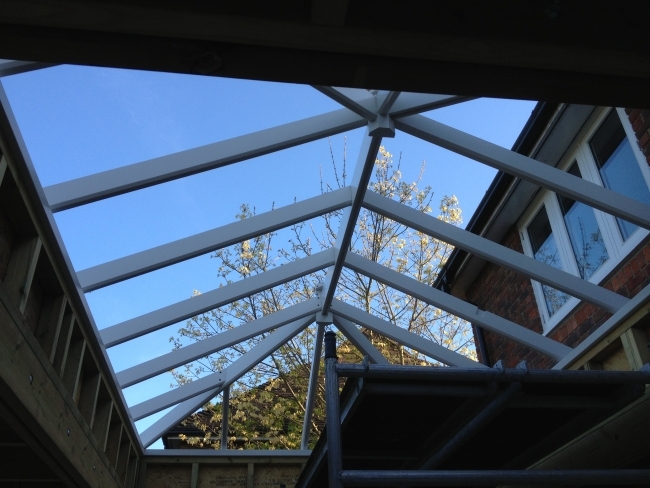 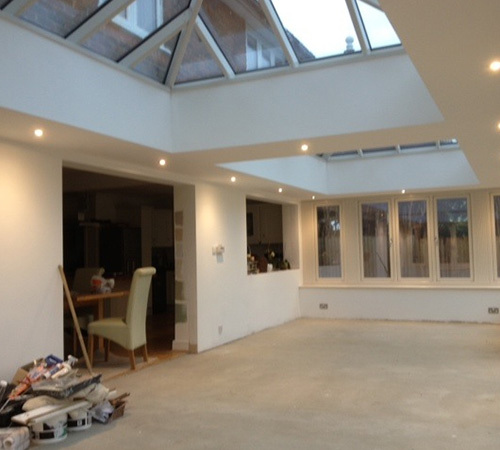 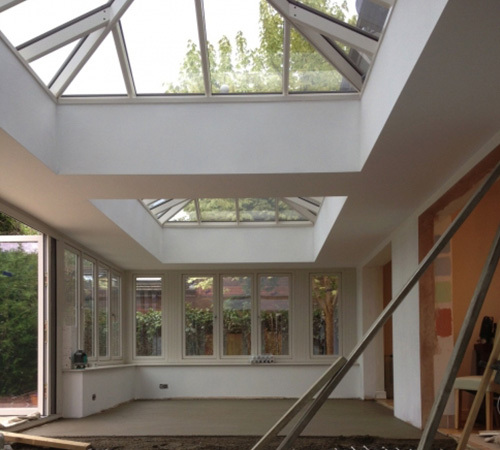 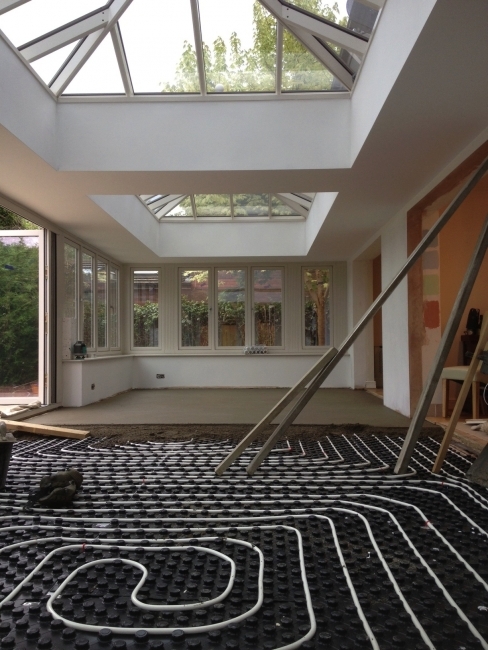 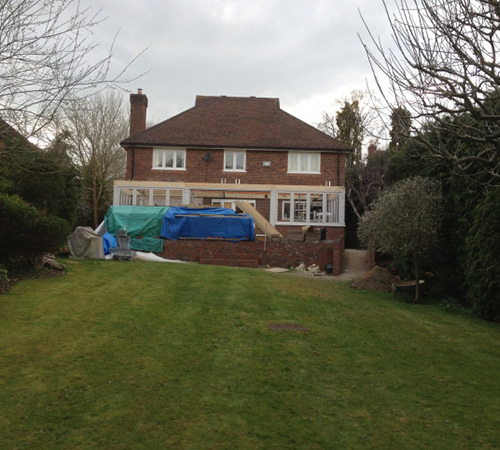 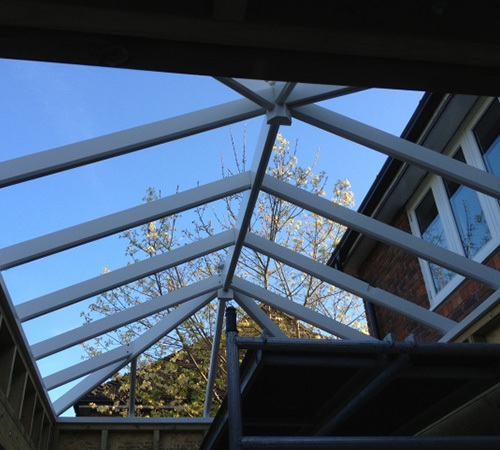 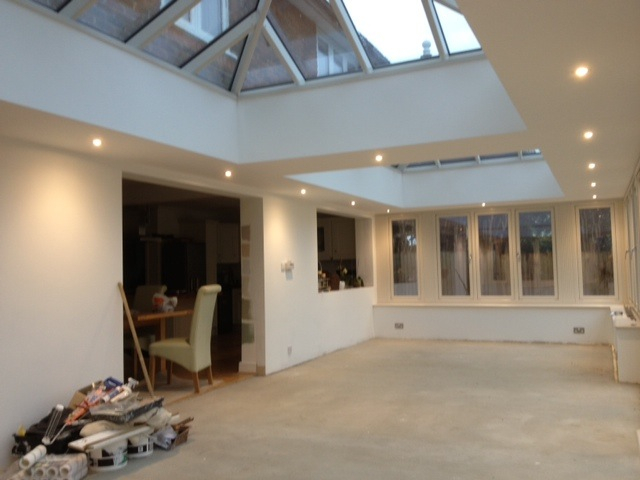 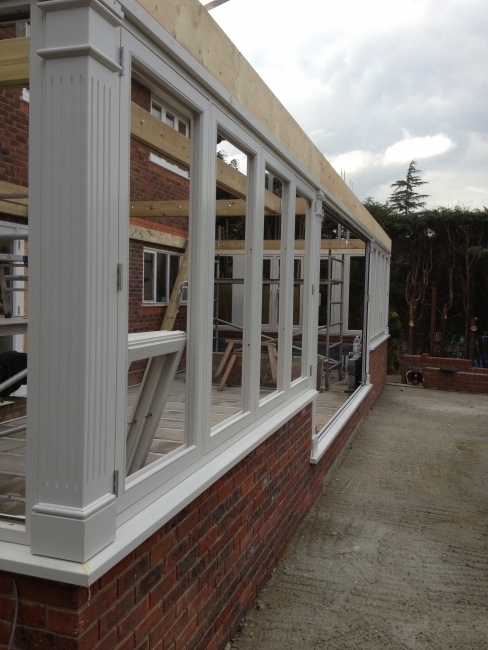 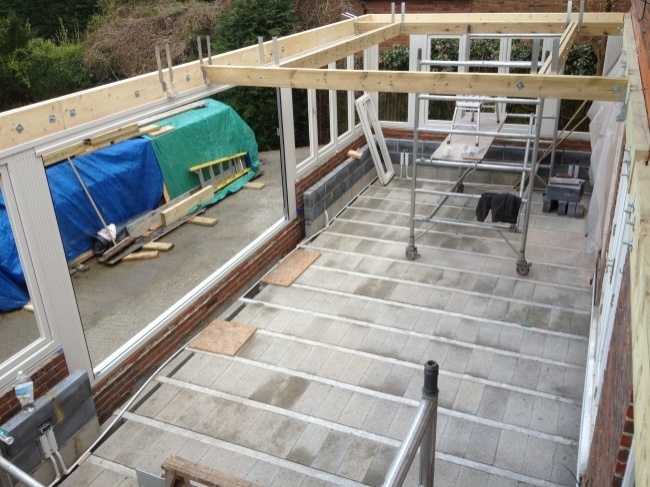 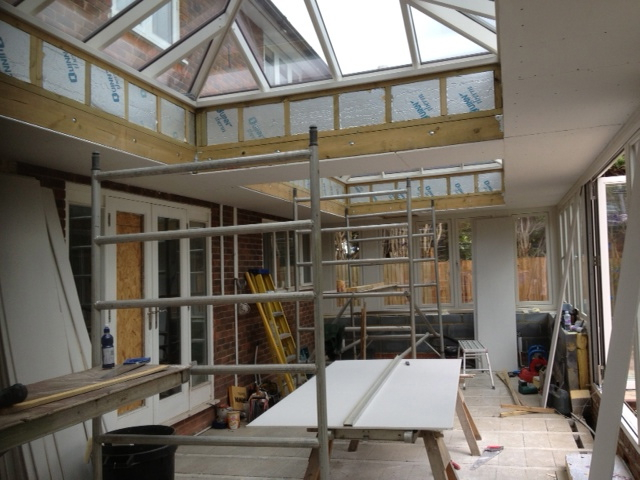 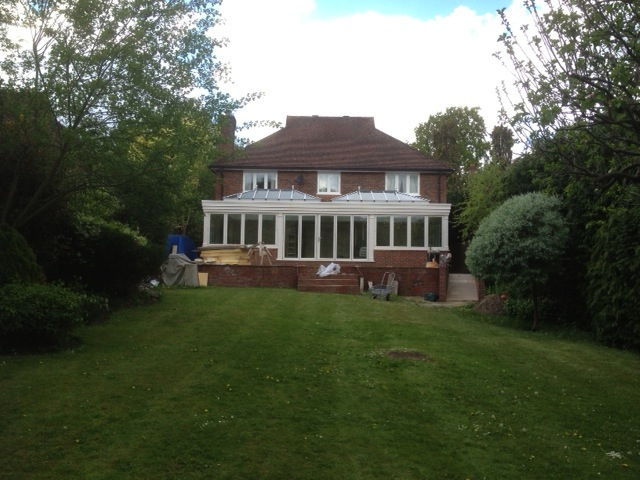 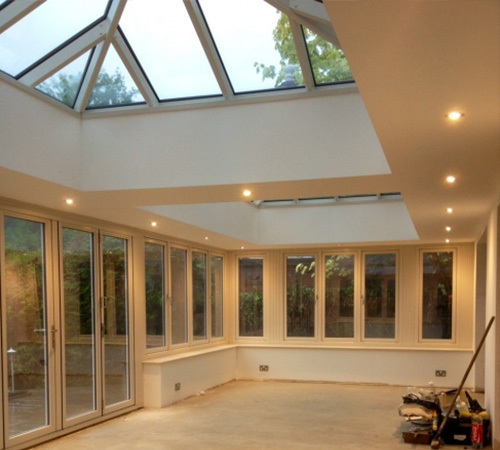 Orangeries are built with a perimeter roof (warm roof construction) incorporating a glazed atrium. 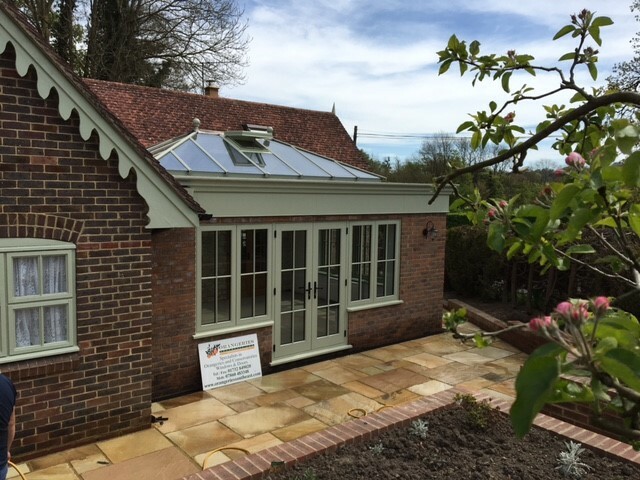 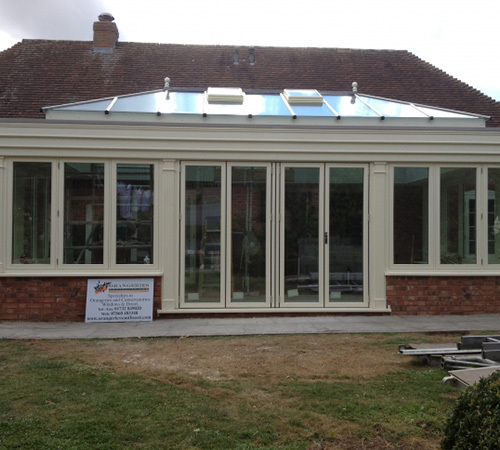 The orangery itself is a bespoke structure which can be designed to fit onto a property even if space is limited. 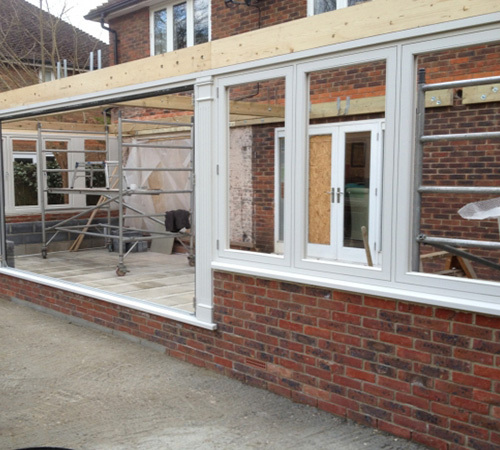 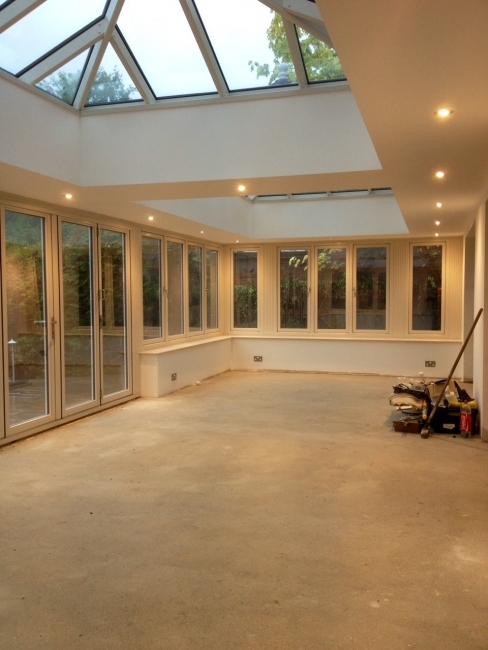 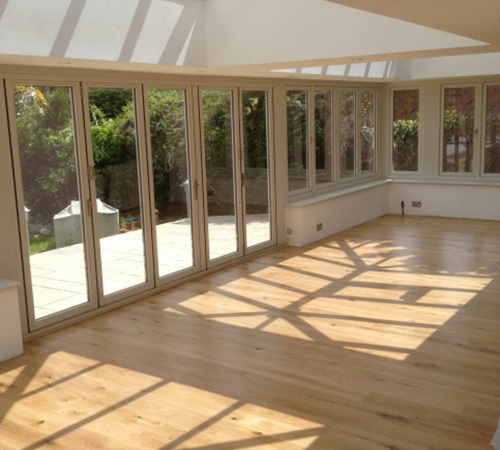 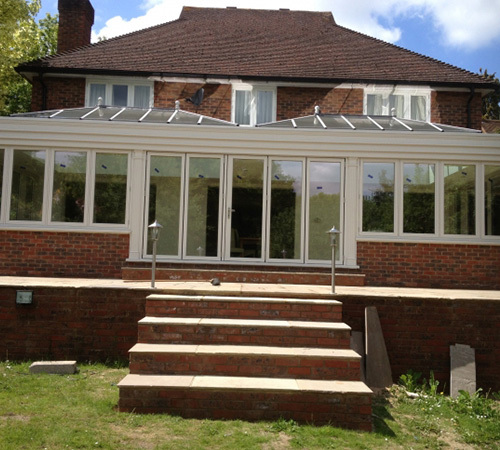 Orangeries can be constructed as a kitchen extension or a living room extension. 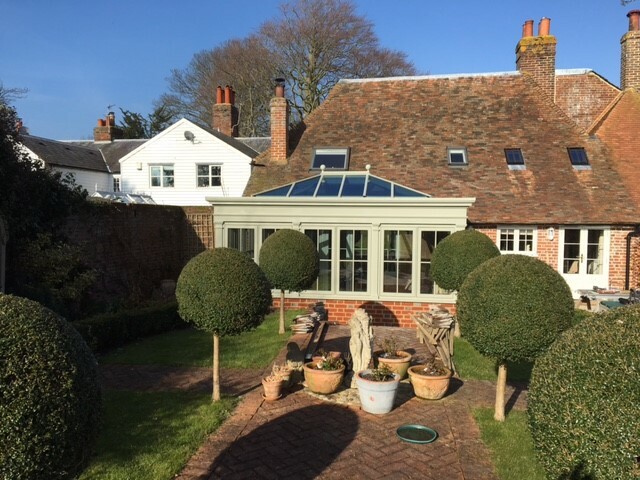 An Orangery is a room that can be used all year round, the atrium soffit provides a shaded area which is especially welcome if your property has a south facing aspect.